How a teenage horse & rider team took the road less traveled (and earned their USDF Bronze medal). Meet the dynamic duo of Cassie and Sasha! 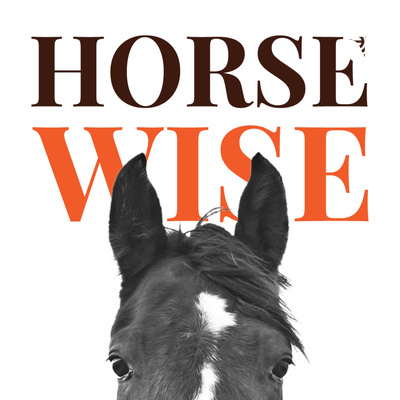 The Horse Wise podcast shares stories of horses and people – and what they teach each other. Horses bring wisdom, humor, athleticism and inspiration into our lives. Join host Lynn Reardon as she encounters entertaining characters (horse and human) on her own horsemanship journey. How an older gelding, a young colt, a noisy trailer and a 60-day guarantee were nearly a recipe for disaster. Two tales of my adventures in learning about awareness and horses. A veterinarian walks into a comedy club with oil paints, dentistry tools and an easel. Welcome to the world of Dr. Matt Evans DVM. Dr. Matt Evans DVM is an equine vet, stand-up comic, landscape painter, master gardener and all-around Renaissance man. He decided to become an equine vet even though he had no experience with horses prior to vet school. Matt doesn’t let details like that get in the way of bold career moves. In addition to being a partner at Austin Equine Hospital and pursuing multiple creative endeavors (like parenting), Matt is active in local community charity work AND is a runner. Seriously, this guy is like a super hero or something. Best of all, Matt is hilarious and finds the humor in every situation (especially those involving horses). In this interview, we discuss how artistic passions and equine veterinary work complement each other in his life. For more information on Matt’s adventures in landscape painting, please visit him on Instagram at @evanspaintingsandstuff. To learn more about his work as a veterinarian, please visit Austin Equine at @austinequine. For our Austin listeners, Matt will be competing for the title of Funniest Person in Austin at the Cap City Comedy Club on 4/16 at 8 pm. Finally, for those folks who want to learn more about my racehorse adoption charity (LOPE), please visit www.lopetx.org. Matt and the wonderful team at Austin Equine Hospital have generously sponsored LOPE since 2004. How a wild-eyed colt, a western saddle and a big red horse led to my first ever canter pirouette (thanks to a special cowboy named Peter). Penny Reeves on Horsemanship vs Show Scores. This is Part 2 of her interview series. Tulsa Mambo was an opinionated racehorse with a big personality. He was the first horse I ever met who had a truly sarcastic sense of humor. But underneath that prankster facade, Tulsa had a heart of gold - as well as a heroic sense of chivalry. He first came into my life in 2003, when he joined the LOPE racehorse adoption ranch. Tulsa was the first ever "warhorse" to come to our program. Warhorses are racehorses who ran at least 50 times, often retiring at an older age (7 or above) from the track. Tulsa's mischievous adventures eventually earned him a whole chapter in my book (Beyond the Homestretch). A truly unique character, Tulsa taught me much about horsemanship and life. Not to mention rattlesnakes. Visit LOPE at www.lopetx.org for more information about our work with ex-racehorses.